Tacos and enchiladas are tastes as familiar to Americans as burgers and fries. While I share a hunger for these Anglicized palate-pleasers, nothing beats the authentic cuisine that lies south of the border. When I crave the unadulterated tastes of Mexico, I dream of the flavors that I have savored in Puebla. In a country loaded with gastronomic riches, Puebla is a culinary oasis. Puebla is a safe and vibrant city located 85 miles Southeast of Mexico City. It is one of Mexico’s beautiful Colonial cities, quite possibly its crown jewel. 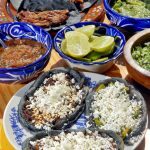 Puebla enjoys a lofty reputation among savvy epicureans and no visit here is complete without sampling its edible diversions. Its cuisine is so esteemed it even appears on UNESCO’s Representative List of the Intangible Cultural Heritage of Humanity. 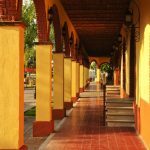 It is the birthplace of mole poblano, a complex sauce that blends chili pepper, chocolate and several dozen spices. Dark and rich, it is usually served over chicken, turkey or pork, but restaurants are happy to accommodate vegetarians. Another local specialty is chiles en nogada, widely available in August and September, when the ingredients are fresh. This mild pepper is stuffed with a combination of minced meat and aromatic fruits, enriched with walnut cream sauce and sprinkled with pomegranate seeds for a dash of panache. The three colors of the Mexican flag are represented, so it’s patriotic as well as delicious. Antojitos are Mexican appetizers. In Puebla, go for chalupas. These deep-fried, boat-shaped corn tortillas are stuffed with shredded pork or chicken. They are simply garnished with lettuce and salsa and totally addictive. If you prefer your food on the go, Puebla has a long-standing tradition of delectable street food. You’ll forget your favorite food truck back home when you bite into a cemita. Cemitas are seeded rolls filled with a mouth-watering combination of cheese, vegetables and meat. Tacos árabes were brought to Puebla by Lebanese immigrants. 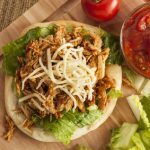 Juicy marinated pork is served on a pita-like flatbread for a flavorful light meal. If you’ve got a sweet tooth, go directly to Calle de los Dulces. The entire street is devoted to confections, with dozens of sweet shops presenting a tempting array of toothsome delights presented like fine jewels. Sample sugar-spun tidbits like camotes, which are yam-based candies flavored with fruits. Tortitas de Santa Clara are irresistible shortbread cookies topped with pumpkin-flavored icing. Less adventurous dessert eaters may want to go straight for a bright red candied apple on a stick. Puebla is blessed with a vibrant restaurant scene. It edible abundance is so deep, you could spend months here and barely scratch its surface. With so many demanding locals, it is hard to get a bad meal. There are numerous universities in town, so Puebla is often referred to as the “Boston of Mexico”. To accommodate the large population of students and academics, restaurant prices are moderate. If you are interested in indulging in classic dishes, try Casa de los Muñecos. 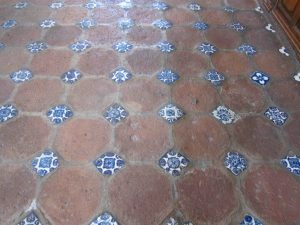 Housed in a museum with a spectacular display of Talavera tiles, it’s a special setting. 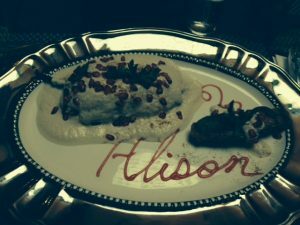 Order the chiles en nogada and it will arrive personalized, with your name inscribed in edible ink. 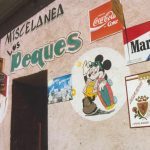 El Mural de los Poblanos is another popular dining option that features locally sourced products. The food is traditional, but the modern murals that adorn the walls add cutting-edge spark. The young female chef is weaving personal flair into time-honored favorites like mole poblano. Poblanos eat their main meal, la comida, at around 2 or 3 pm, so breakfast is a hearty repast meant to tide them over until the late lunch. The hotel La Descansería has a lovely on-site restaurant that serves an eye-opening morning meal. It’s included in the room rate, so I like to stay at this 24-room boutique hotel in the heart of the historic downtown. Strong coffee and a warm basket of flaky sweet rolls called pan dulces are brought to your table with freshly squeezed orange juice and papaya slices. Choose your plato fuerte from the menu. Fluffy eggs served with rice and beans, enchiladas filled with shredded chicken and topped with a piquant red sauce or mild quesadillas are all fortifying and delicious. Get acquainted with some of Mexico’s best grapes at La Route des Vins. There are several locations of this hip bar, all with worldly wine lists to accompany their eclectic global food offerings. It’s the place to sample Mexican wines, including some trendy offerings from Baja California, the latest oenophile rage. For a potent potable on the other end of the spectrum, clink glasses with a local crowd at La Pasita. 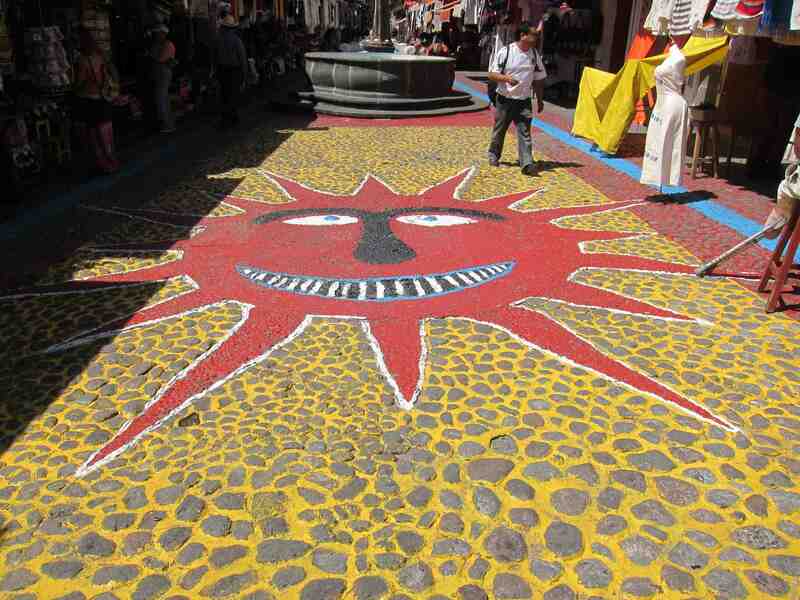 It is conveniently located next to the Plazuela de los Sapos, Puebla’s funky flea market. Try the namesake beverage pasita, distilled from raisins and served in a simple shot glass. The boutique hotel Sacristía de la Compañía’s hands-on cooking class introduces participants to the secrets of the Mexican kitchen. If you are ready to seriously delve into local cuisine, the five-day cooking intensive will teach you how to make nine regional dishes. You’ll tour the local market with your instructor, sampling delicious treats along the way. Puebla’s historic center is a compact gem of well-preserved Baroque, Renaissance and Colonial buildings that have earned it the prestigious designation as a UNESCO World Heritage Site. It is famed for its elaborate churches and Talavera ceramics. 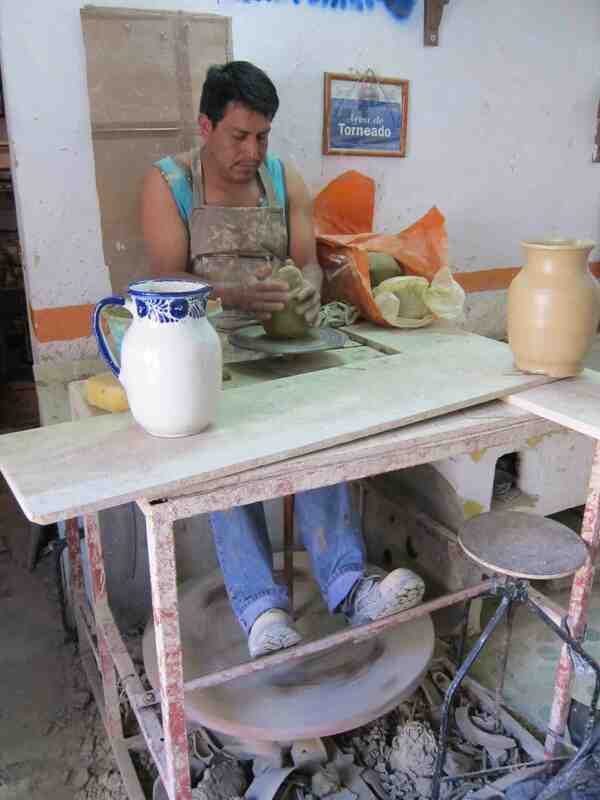 Talavera is a style of ceramic that has been produced exclusively here for centuries. 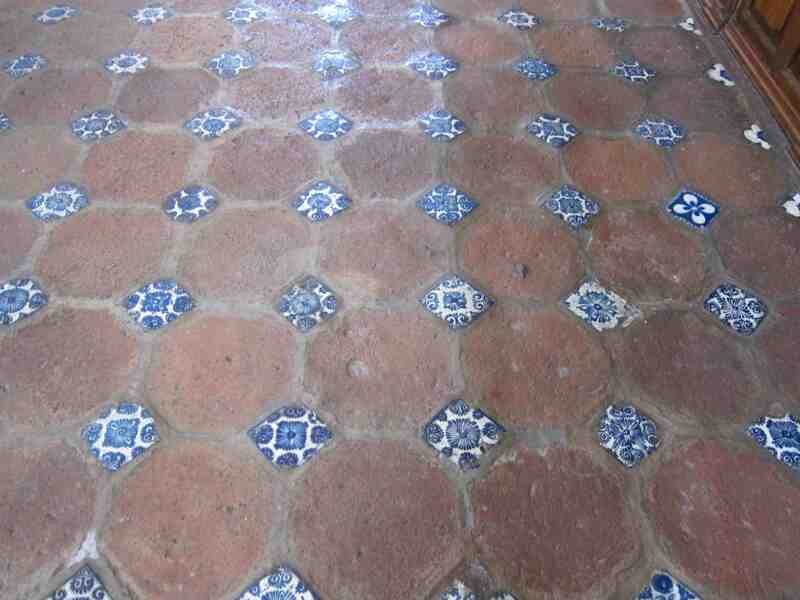 Your eyes will feast on the many beautiful Talavera tiles that adorn buildings around town. The Zócalo is Puebla’s central gathering place. Surrounded by historic buildings, this tree-filled pedestrian plaza is the place to people-watch. Stroll, listen to an impromptu concert, eavesdrop on a political conversation between students or just soak in its beauty while seated in a café, dipping sugar-dusted churros into creamy hot chocolate. Puebla has its own small airport, but it’s an easy bus ride from Mexico City. 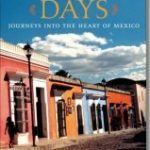 Many visitors choose to fly to Mexico City and catch the handy bus that departs directly from the airport, arriving in Puebla in under two hours. 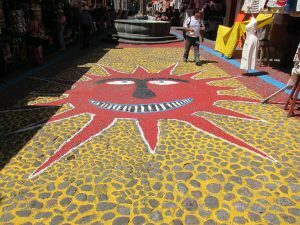 Puebla is a wonderful walking city. If you like cycling, the fledgling bike share program is a worthwhile option. The tourist office is staffed with helpful locals who are happy to customize itineraries. 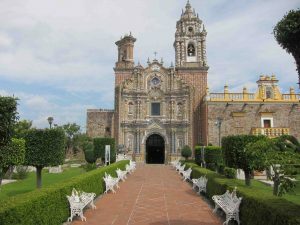 For more information, go to www.Puebla.travel or www.Visitmexico.com. Agreed…it is a wonderful (and completely safe) city to visit. Puebla also offers several places that are of special interest to Catholics.